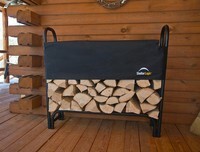 When you need to store chopped wood at any time of the year, firewood racks keep many pieces all in one place. We carry firewood racks that can be kept inside or outdoors, and these range in size from four to 12 feet long and support one-eighth to one-half cords of wood. 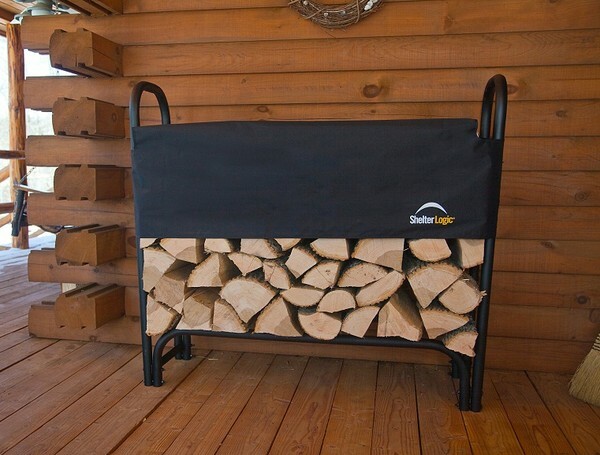 Each firewood storage rack has a polyester cover on top that lowers partially and still allows them to breathe, which is particularly important for seasoned wood. Each steel frame gives the user the option to adjust the width and height to fit the amount of wood needing storage. This item is currently on backorder with the manufacturer. These are expected back in stock February 2nd 2015.